The modern network is diverse, resulting in a wide variety of throughput, connectivity, and security requirements within a single organization. Data center constraints on space, power, and cooling just add to your challenges of finding the right network security device. The Cisco FirePOWER™ 7000 Series solves these challenges by providing leading threat protection appliances with scalability, energy efficiency, and a low total cost of ownership. 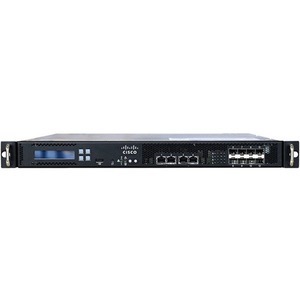 The Cisco FirePOWER 7000 Series Appliances are the base platform for the Cisco FirePOWER next-generation Intrusion Prevention System (NGIPS) threat protection solution. They integrate real-time contextual awareness, full-stack visibility, and intelligent security automation to deliver effective security, reliable performance, and a lower cost of ownership. Threat protection can be expanded with optional subscription licenses to provide Advanced Malware Protection (AMP) and application visibility and control.